I was in a church meeting once, when a committee member said, "The bottom line is that we need to increase our membership." He meant that the bottom line, for the continued sound fiscal existence of the church was that we need more paying members. I hope -- I sincerely believe -- that that is NOT our bottom line. The presenter at the meeting I attended in Austin said, "We are not here to save the institution; we are here to use the institution." We do not serve the church; we serve God. And what does God want us to do? I think our job is to figure out how to do that. What does it look like in our neighborhoods to love our neighbors? How can the church help us to accomplish that goal. How can the church be used to make that divine directive a reality. If we do that, then the church will be fulfilling its purpose. We won't have to worry about membership, because the church will thrive. And if that becomes our goal, how do we measure our progress toward that goal? It becomes less about how many people attend worship service each week (although we can still measure that, if it accomplishes something in our intentional striving toward the new goal), and more about measuring how we are reaching out. Loving. Fulfilling our purpose as a church. You get (accomplish) what you measure. Or, to say it another way, you get what you pay attention to. This was one of the basic tenets of a conference I recently attended. I'm a firm believer that sometimes quips attract us just because they sound good -- they should be true because they seem clever. We owe it to ourselves to examine phrases that seem true before we accept them as truth. For instance -- "God won't give you more than you can handle." It sounds like it ought to be comforting, but I don't believe it is true. Ask the person who has way more than anyone should be able to handle. The only reason he or she is able to continue is that there is no other option. I think God is in the "handling," but not in the "giving." He'll walk with us to handle anything we have to, but I won't blame God for the problem. Realizing the necessity of having the goal. Planning the intentional steps to reach the goal. Evaluating the progress to the goal. Churches see dwindling attendance, so they come to a realization that they need to attract new members. They might start measuring how many people come to church and attend worship. Will that accomplish any worthwhile goal? Will they get what they are measuring? I don't think so. The goal is wrong. First of all, it's not really a goal, it's a vision (we want more people to come to church). Secondly, it isn't a goal that comes from God. Thirdly, what intentional steps are they taking to reach the goal. Just because we spend time measuring doesn't mean we are going to accomplish what we've set out to do. More thoughts on this soon. 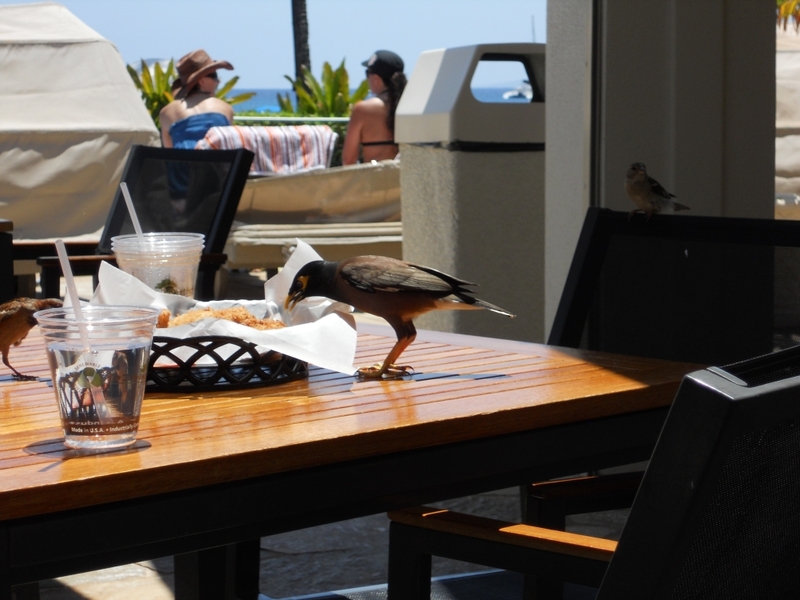 This is a Myna bird in Maui having a snack on the onion rings left by a previous lunch-er. He was in heaven until the waitress saw him and said, "Oh! Party over!" and took the basket away. As a church, we have disconnected ourselves from our environment. It is time to reconnect. A vital congregation requires a very clear identity and a very clear purpose. We are not here to save the institution. We are here to use the institution. Do churches know more about who they used to be than who they are? Without measurement, purpose devolves into preference. If we have no purpose, we measure whether people are happy by counting complaints. The purpose of problem solving it to return a system to what it once was. We don't have a problem -- we have a new mission field and new opportunities. We need to stop being problem solvers. Churches don't need to be fixed; they need to be changed. I'm in Texas. My room here has a giant jacuzzi tub, but this is the view from my room. See that lake? Drought. Sometimes stewardship involves just looking around and making appropriate decisions. Short shower, for instance. God will give us clear vision. I'm still here. I've been here and there and yonder, including Maui and Memphis. At the end of the week I go to Austin, for a day, and then I'll be back. Work is very busy -- many projects in May to complete. I'll try to do better with blogging (which means I need to do better with devotionals, but if I have learned one thing, its that they go hand in hand). 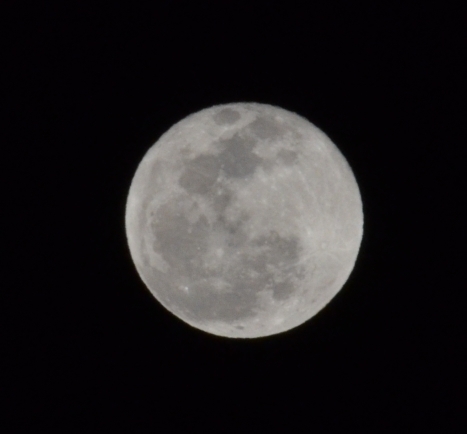 I have many images to share -- good ones -- so I'll try to get that done, too. Have you ever noticed, that when you have large projects to complete, that the small ones tend to weigh on you? And that the interruptions take priority over the big Must be Done projects? However, I believe in a Ministry of Interruptions, and one of my interruptions today was to send a check to someone who really needed it -- a grant from a Trust. Those kind of interruptions are golden. And what I'm called to do. I'll get the Big Project done. Tomorrow. And the next day. In the meantime, I'm enjoying having both my boys home. Mother's Day was great. Son the Younger preached. You can listen to it here. Mississippi River outside of Memphis. OK, so the sermon has four parts, not three. Ooops. Consider this. In West Virginia, one in three children lives in poverty. Almost 10% of babies are born with low birth weight. In our schools, 55% of students are approved for a free or reduced lunch. Over half of all fourth graders in West Virginia cannot read at what is considered a proficient level. Children who lived in poverty are more likely to have children outside of marriage, to be arrested, and to have severe health problems. What can we do about this kind of darkness? A group of United Methodist Women in my church, called the Lydia Circle, heard these statistics. The teachers in the group told them that some of the students approved for free lunches in our schools go home every weekend and dodn’t eat again until Monday, because school food is their only food. These women stopped focusing on their dwindling membership numbers, their increasing age, and their busy schedules. They stopped worrying about what they could nod do. They listened to Paul and they joined him in following Christ. They started a back-pack ministry. Each week these women pack a weekend’s worth of food in large plastic Ziploc bags. They deliver the bags to a neighborhood school where the bags are placed in the backpacks of 10 specific students. Each weekend – every weekend -- these 10 students have something to eat. They are no longer hungry. The Lydia Circle has plans to expand the ministry so that no child in that school spends the weekend without food. They are punching holes in the darkness. We stand here this morning, secure in the knowledge of the love of God. – we are not afraid. We read Psalm 27, which says, “The Lord is the stronghold of my life; of whom shall I be afraid?” Paul reminds us that we are transformed, from humiliation to glory. We have the opportunity live into the persons we were created to be. We are citizens of heaven. We are called to stand firm in the Lord. We are called to pick up our cross and push back the darkness in the world. We are called to choose to follow Christ – not to be transformed by the world but to allow God to change the world through us. Before the sermon, we sang, You are Mine – God’s reminder to us. Our song of response after the sermon is I am Thine, Lord. Who will you follow? Who do you belong to? What holes will you punch in the darkness? Where will you stand today? When our god is God, when we live a God-centered life, we live into the grace-filled gifts of being citizens of heaven, here on earth. When we follow God, we love others and we love God. We share what we have been given, we serve. When we allow ourselves to be changed by the world, we end up empty. Following Christ means that instead of being transformed by the world, we are transformed by God, and everything we do becomes a way that God can transform the world. It is our task. We are to imitate Paul as he imitates Christ. Christ is the light, and now we are the light of the world, pushing back the darkness. Knocking holes in the darkness of the world.